The Hashimoto’s and Gluten Connection: Do you have to be gluten free? →The Hashimoto’s and Gluten Connection: Do you HAVE to go gluten free? The Hashimoto’s and Gluten Connection: Do you HAVE to go gluten free? Do you have Hashimoto's thyroiditis? Are you considering going gluten-free? Maybe you are wondering if going gluten-free will even be helpful, or if it is some sort of fad diet. Maybe you've gone gluten-free and it just isn't helping like you thought it would. It turns out that going gluten-free may be beneficial for many patients with Hashimoto's thyroiditis but not for the reasons you might expect. Does going gluten-free help with weight loss? #1. You are consuming less refined carbohydrates. #2. You likely have less inflammation. #3. You may be improving your thyroid function indirectly. #4. You are getting more micronutrients. Do you have to be Gluten-Free if you have Hashimoto's? Most people have no problem making changes to their diet if they know it will help their health long term. One question I see pop up is about Hashimoto's and gluten. Do you need to be gluten-free if you have Hashimoto's? In most cases going gluten-free is helpful for a number of reasons, but maybe not the reasons you are thinking. Hashimoto's disease is an autoimmune disease. 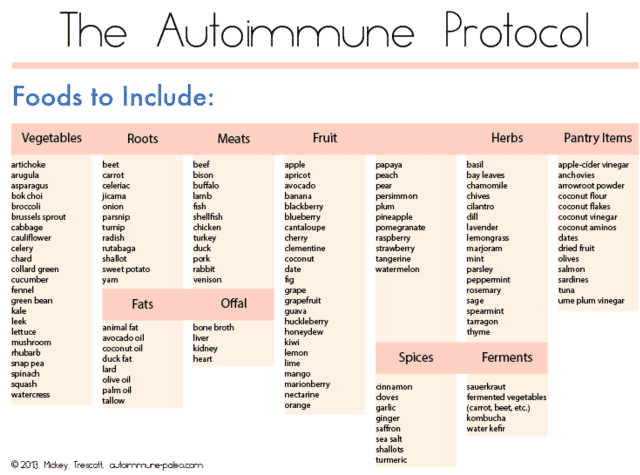 As you may already know if you have one autoimmune disease you are at risk for developing another autoimmune disease. This is complicated further in the case of Hashimoto's and Celiac disease because they share a common genetic predisposition on the DQ2 allelle (1). This connection is so strong that most physicians will test patients with known celiac disease for other autoimmune diseases (in this case Hashimoto's). In various studies, the incidence of patients with Hashimoto's disease who also have Celiac disease ranges from around 4-10% (2). If only 5-10% of people with Hashimoto's have Celiac disease then why should nearly EVERYONE with hashimoto's disease go gluten-free? Despite the fact that 5-10% of patients have Celiac disease, in my experience and in the experience of many other physicians, at least 80% + of patients with Hashimoto's who go gluten-free notice a reduction in their symptoms almost immediately. One of the main reasons is our limited understanding of the influence of gluten on the body. There are two syndromes you need to be worried about when it comes to gluten. The first is Celiac disease. You probably are aware of this disease because it is an autoimmune disease and removing gluten is necessary to reduce the attack in your body. This usually manifests as antibodies to tissue transglutaminase and/or deamidated peptide. This is the condition everyone knows about. But there is also a more sinister and more difficult to diagnose condition involving gluten and that is known as non-celiac gluten sensitivity. ​This condition is indeed reported in the literature (you can read more about it in detail here) and is well established that it does exist. 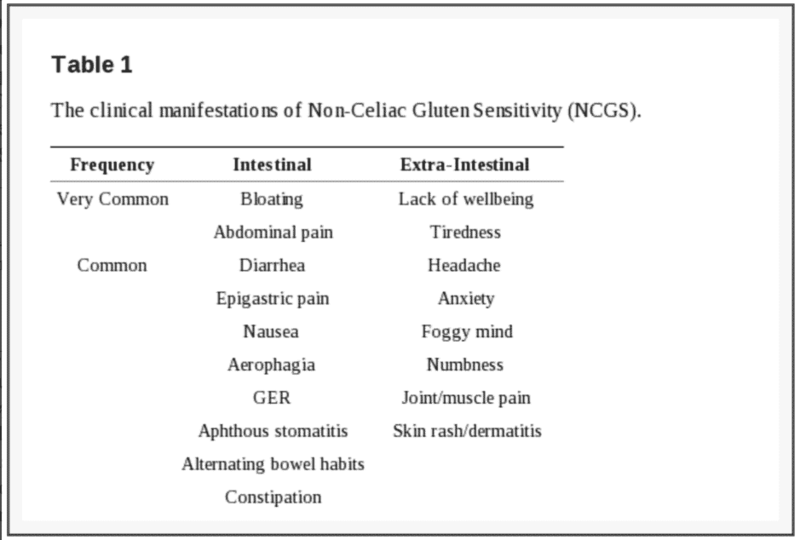 Non-celiac gluten sensitivity (NCGS for short) is most likely why so many people feel significantly better when going gluten-free, even if they don't have Celiac disease. It also explains why many patients may go gluten-free despite blood tests that show that they do NOT have Celiac. ​We will discuss the difference between celiac and NCGS later in this post but you can see a list of the symptoms associated with NCGS below (many mirror Celiac disease but these patients will be antibody negative when tested). Another important factor in going gluten-free is that it necessarily results in the removal of inflammatory and processed foods from the diet. Yes, some people who go "gluten-free" still eat gluten-free goods, sugars, and breads - but for patients who remove processed and inflammatory foods, they notice an improvement. Switching to a whole foods based diet will help improve nutrients, reduce inflammation and support adrenal and other hormone function. We will talk more about the right way to go gluten-free below (as well as many mistakes that patients make while going gluten-free). Going gluten-free may help treat other gastrointestinal issues that you may not even be aware that you had. One of the most under-diagnosed intestinal issue in hypothyroid patients is small intestinal bacterial overgrowth. It is estimated that up to 50% of patients with Hypothyroidism (3) also have small intestinal bacterial overgrowth. Going gluten-free may actually improve SIBO (at least somewhat) by reducing the carbohydrates that feed the bacteria. SIBO is an inflammatory condition, which means that the presence of this condition results in increased inflammation in the GI tract which may exacerbate autoimmune conditions. Localized GI inflammation may also lead to increased intestinal permeability which can further increase the likelihood of developing autoimmunity through molecular mimicry (4). Bottom line: Despite the fact that many patients with Hashimoto's may not have Celiac disease they can still improve their symptoms significantly by going gluten-free. While we've already established that there is a clear link (and increased risk) for patients who have Hashimoto's and celiac disease I want to direct your attention to some other research that is quite interesting. #1. ​Many cases of Hashimoto's and Celiac disease may be due to polyglandular autoimmune syndrome. Polyglandular autoimmune syndrome is a condition in which patients have a failure of multiple endocrine (hormone) glands in the body. Studies have show﻿n (5) that many patients with Hashimoto's and Celiac disease often have PAS. 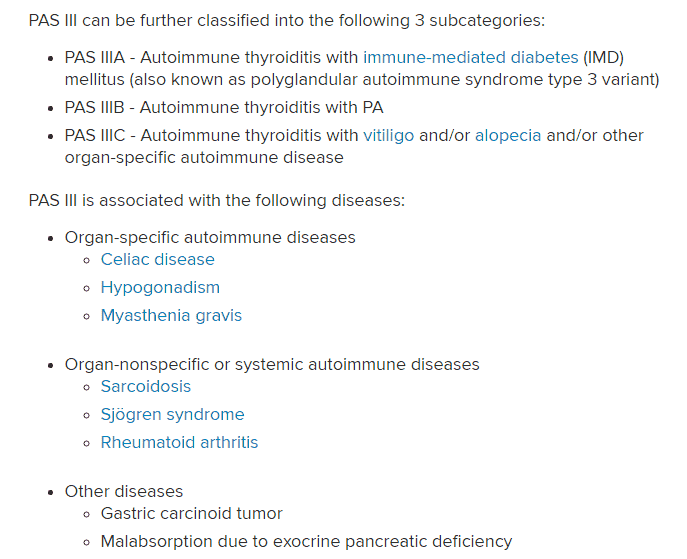 In PAS type 3 Autoimmune thyroiditis is often paired with other autoimmune conditions such as vitiligo, alopecia and celiac disease. Most cases of alopecia and/or vitiligo can go under-appreciated by many physicians because their presence is usually just cosmetic (compared to systemic autoimmune diseases). But their presence may indicate the involvement of multiple glands in their autoimmune condition. Having the combination of Hashimoto's + vitiligo or the combination of Hashimoto's + alopecia or Hashimoto's + hypogonadism (6) may dramatically increase your risk of developing Celiac disease later in life. 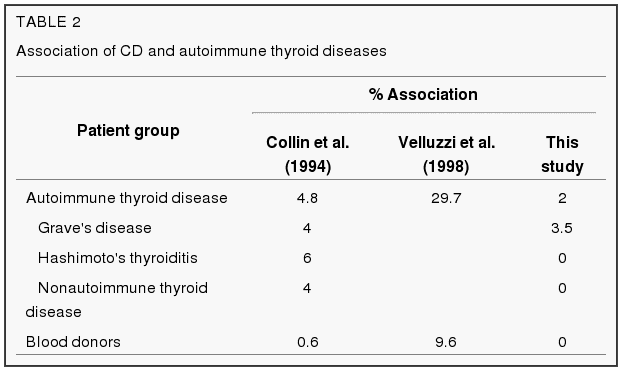 You can see a complete list of autoimmune diseases associated with autoimmune thyroiditis such as Hashimoto's and which autoimmune diseases may accompany this autoimmune disease. This is very interesting data and should be evaluated. Studies have shown that the incidence of Celiac disease increasing over time, even in the same patient population. This can obviously trick some patients into believing that they don't need to be gluten-free because they are antibody negative, only to become antibody positive later in life. For this reason, it may be a good idea to test for Celiac disease, especially if you have a Hashimoto's flare-up. 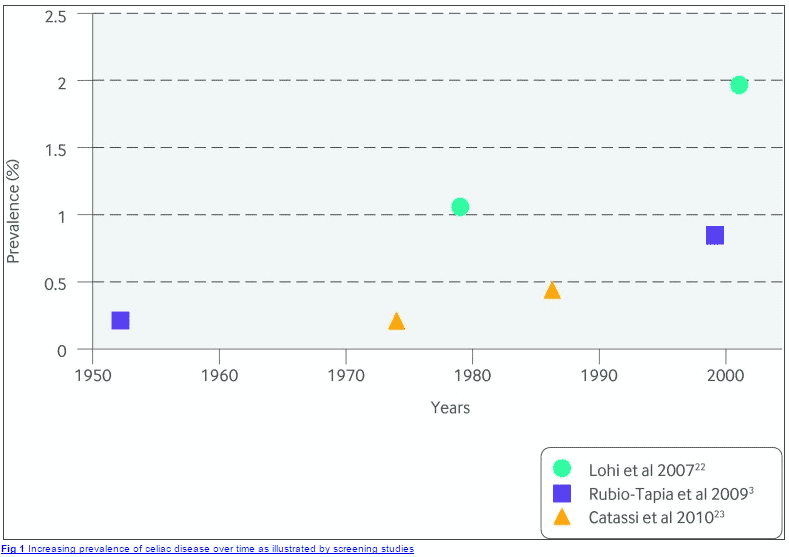 You can see a graph below showing the increasing incidence of Celiac disease over time. Most recently we are up to 2% of the population in some studies. It's not clear exactly what is causing this increase in incidence over time, but it is most likely related to inflammatory conditions and increased intestinal permeability which both have been shown to increase the risk of development for autoimmune diseases (7). Another huge question that patients have is will going gluten-free help with weight loss? In most cases, if done correctly, and assuming you weren't eating a whole food diet previously, going gluten-free will most likely result in some weight loss. Generally, by going gluten-free most patients cut out the highest source of refined carbohydrates (breads, pastas, cereals, etc.). Of course, many patients who don't lose weight may simply be substituting regular bread for gluten-free bread, in which case you wouldn't get this benefit. But assuming you go gluten-free and replace these refined sources of carbohydrates with healthier alternatives such as fruits and vegetables, most patients will experience some weight loss. This largely has to do with the effects that refined carbohydrates have on the hormone insulin. ​Insulin is the hormone in your body that tells your fat cells to grow by holding onto energy. Reducing carbohydrates (the bad kind of carbs such as breads, etc.) will help lower insulin levels and lead to weight loss. In my experience, insulin resistance is incredibly common among patients with Hashimoto's and hypothyroidism and it's almost impossible to lose weight unless insulin levels are addressed. In many cases going gluten-free will either directly or indirectly reduce inflammation in the body and GI tract. If you have Celiac disease then eliminating gluten will absolutely reduce inflammation in your body. If you have non-celiac gluten sensitivity or another problem such as SIBO or fructose intolerance, then going gluten-free may also directly influence these conditions as well. ​Reducing insulin is important for normalization of hormones that mediate body weight and alter your thyroid. Your thyroid requires at least 13 different nutrients to function correctly. This includes thyroid hormone production, thyroid sensitivity at the cellular level and even T4 to T3 conversion. 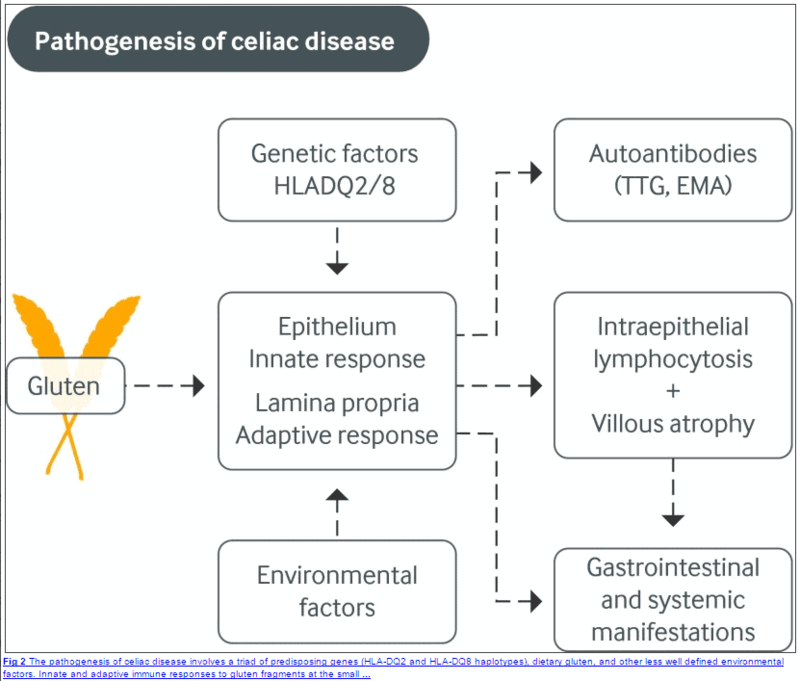 Celiac or non-celiac gluten sensitivity and impact and reduce absorption of micronutrients leading to dysregulation of thyroid function indirectly. In addition, inflammation is a known inhibitor of T4 to T3 conversion which may lead to a condition known as low T3 syndrome. By going gluten-free you may indirectly improve thyroid function by both reducing inflammation and absorbing more nutrients for thyroid function. Assuming you are replacing gluten with nutrient-dense gluten-free whole foods, you will most likely be consuming more nutrient-dense foods. Consuming nutrients from the food you eat is always superior to taking nutritional supplements. My opinion is that most patients with Hashimoto's stand to benefit from at least a trial of going gluten-free. Forget about the research listed above, forget about the strong clinical correlation between celiac disease and Hashimoto's. If you have Hashimoto's it's absolutely worth checking for Celiac disease (even if you are not symptomatic) to see if you have elevated antibodies in the blood. If you are antibody positive then you have your answer. 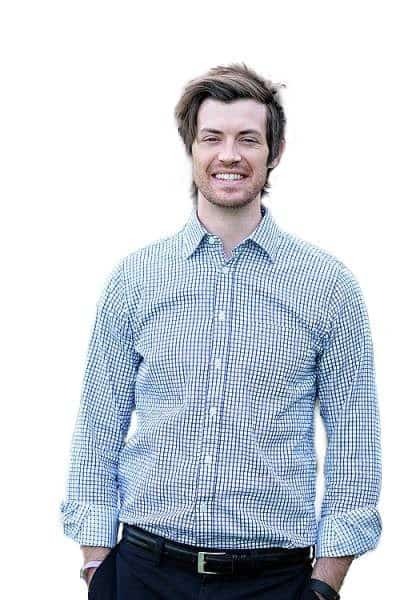 Assuming you are antibody negative then your next step should be to consider a 3 month trial of 100% going gluten-free. Most patients who go gluten-free notice at least some improvement in symptoms within 4 weeks. Some patients (although rare) notice no difference in symptoms and may be just fine consuming gluten. ​My clinical experience suggests that while removing gluten may reduce your symptoms, it is usually not enough to bring you back to 100%. Let's say you've tried going gluten-free and it just isn't working for you or you've noticed some improvement but you want more. In some cases, patients need a diet that is specifically tailored to their medical conditions. There are many other diets that you can consider that may also improve your symptoms. For patients that have multiple autoimmune conditions (or who meet criteria for polyglandular autoimmune syndrome type 3), going on the autoimmune paleo diet may be a better option than just going gluten-free. 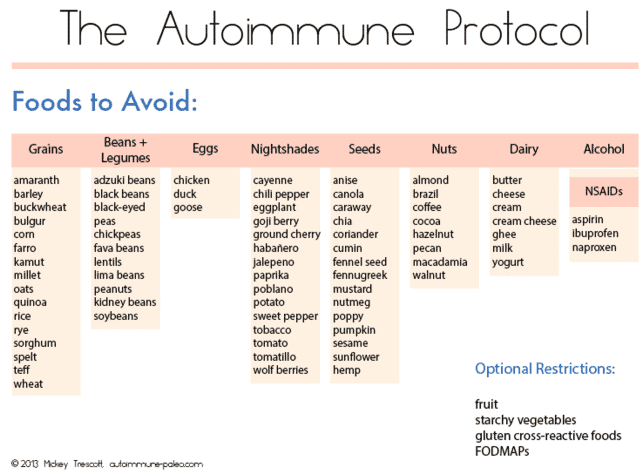 The autoimmune paleo diet mimics the paleo diet, but it is a more strict version of the diet. This particular diet removes all sources of gluten, nightshades, beans, and nuts. Bottom line: Patients who have failed the paleo diet and who have multiple autoimmune conditions should consider the AIP diet. ​If weight loss is your primary goal and if you have leptin resistance, then you might benefit from a diet more tailored to helping your body lower leptin levels. Leptin is a hormone in your body that can change your metabolism (lower it), resulting in an increased appetite and weight loss resistance. Hypothyroid patients are at risk for developing leptin resistance if they have low T3, insulin resistance and if they have metabolic damage from calorie restricted dieting. Leptin resistance is quite prevalent among hypothyroid patients who have difficulty losing weight (about 40-50% of my patients have it). Patients with known leptin resistance should avoid both carbohydrates and protein as both may directly or indirectly stimulate leptin release. Bottom line: Patients with leptin resistance and Hashimoto's/Hypothyroidism should consider tailoring their diet with leptin levels in mind. That means a reduction in both carbohydrates and protein. While going gluten-free should go a long way to reduce insulin levels, you may need further changes to help lower insulin. Patients with known insulin issues, high blood sugar and/or difficulty with weight loss should consider altering their diet with insulin levels in mind. Insulin resistance is also incredibly common in patients with Hashimoto's and reducing insulin is necessary for long term weight loss in these patients. You can learn more about how to reduce insulin through your diet in this post. Don't worry if this information is confusing to you at first because you're not alone. It takes a significant amount of time and energy to figure out which diet is best for your body. Having said that there are several resources that you can use to help get you started on the right track. I recommend a 4 week Hashimoto's eating similar to this one here. This plan will help you eliminate the most common food irritants while helping to teach you about healthy eating habits. It's important that you focus on HABITS and LIFESTYLE and not a "diet". A diet is something that you may use for a short period of time but that you won't stick to and this type of regimen will not lead to lasting results. Instead, you want to focus on a set of guidelines and principles that will help create new and healthy eating habits and promote a healthy relationship with food. This type of regimen WILL help you achieve long-lasting results. The book also contains helpful tips about which supplements work, how to exercise and how to put it all together. Going gluten-free should be a consideration in any patient who has Hashimoto's or autoimmune thyroiditis. Through various mechanisms, separate from the etiology of Celiac disease, going gluten-free may be beneficial. Going gluten-free may treat undiagnosed NCGS, SIBO or fructose intolerance. It also has the potential to help with weight loss by reducing inflammation, increasing nutrient absorption and improving thyroid function. My recommendation is to consider a 3 month trial of going gluten-free if you have Hashimoto's, if you don't notice any improvement then you may be fine consuming gluten regularly. If you notice negative side effects upon reintroduction then you have your answer and should avoid gluten so far as you find it helpful. Do you have Hashimoto's or autoimmune thyroiditis? Did it help? why or why not?